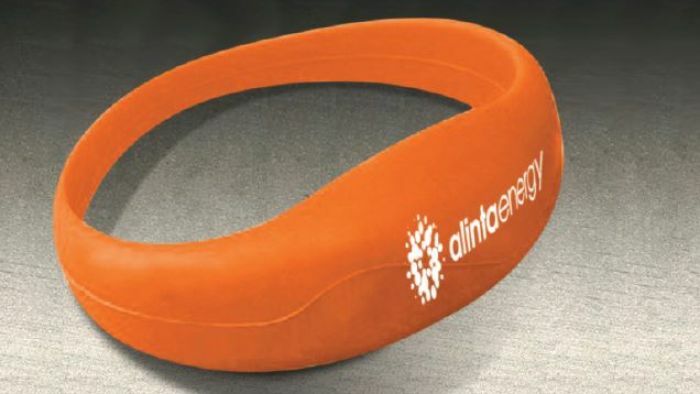 Alinta Energy and Cricket Australia distributed approximately 3,000 of the rubber wristbands at the One Day International at the MCG on January 18 and the first Test at the Gabba on January 24. One child in Queensland had to receive medical treatment after ingesting the battery and is being monitored. The family contacted Alinta Energy advising their child had swallowed the battery from a wristband handed out at the Gabba. In a statement, the company said it had reached out to the family to offer support. A spokesman said similar wristbands had been distributed at cricket games in the past, using different branding, with no apparent incidents. The small round batteries are easy to swallow and have contributed to the deaths of two Australian children in the past. The Australian Competition and Consumer Commission (ACCC) said about 20 children presented to an emergency department each week, after ingesting or inserting button batteries. The batteries can lodge inside a child’s gastrointestinal system and an electrical current immediately triggered by saliva, can cause a chemical reaction that can severely burn the child’s oesophagus and internal organs. Parents are being urged to dispose of the wristbands immediately.